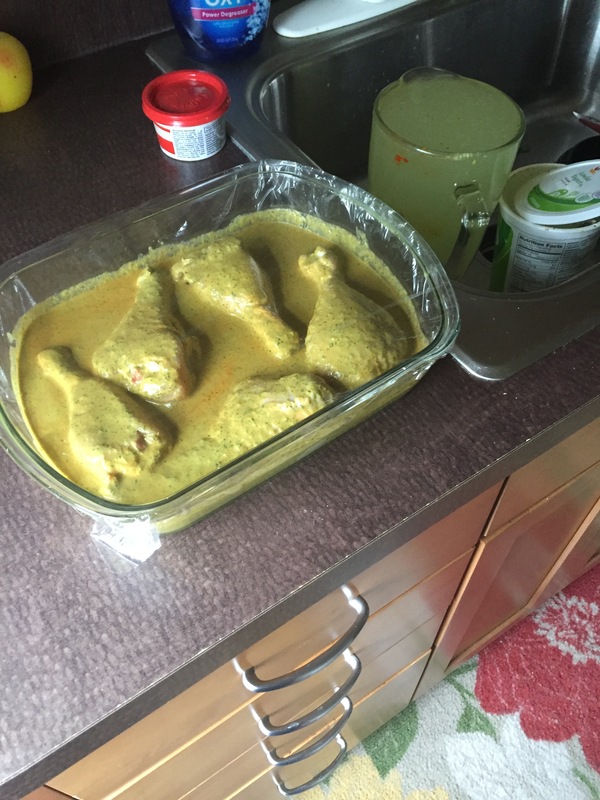 Pollo (Chicken) – Damn, I Can Make That! This entry was posted in Damn Good Dinners and tagged achiote paste, chicken drumsticks, chicken thighs, cilantro, garlic, green onions, oil, yogurt. Bookmark the permalink. I’m wondering how that would work if you cooked it on the grill. My father used to make a wonderful yoghourt-based Indian marinade that grilled fabulously. I suspect this would do the same! yes! I actually have done drumsticks on the grill and they come out amazing! Thanks for the comment! Hopefully you enjoy this recipe& it does justice to your father’s.